The Green party's Frogblog has once again lost the pond. 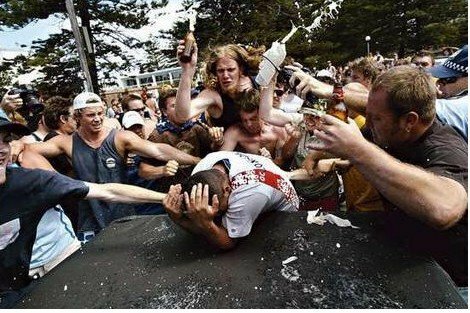 In a post today, one of our slimy green comrades, tried to compare the thuggery of the Cronulla beach rioting, to National leader Don Brash's famed "Orewa Speech". Don Brash's speech called for one law for all and an end to race based laws in NZ. To the slimy green socialists of Frogblog this means he is encouraging racism and is only a little better morally than the thugs and "Lebo bashers" of Cronulla Beach. "You see, it may be that when comparing events that have thrust race relations to the forefront of the political agenda, Cronulla is Australia’s Orewa. If it is, then happily my country is more civilised than the one across the Tasman. For as unpleasant as Brash and Peters’ tactics have been, at least the racist backlash here has, so far, been largely contained within the political process." 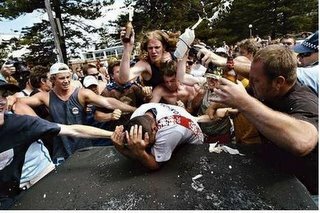 For Frogblog to make any alignment at all between an honest man trying to heal this country's racial problems and the drunken thugs of Cronulla is quite apalling. Frogblogs sick post shows just how warped the Greens are. How can they think such rubbish is acceptable on an official party blog?